I’m a big fan of mobile messenger app LINE. Partly because it has an excellent user interface and means I can make free international voice or video calls to other LINE users over the internet. 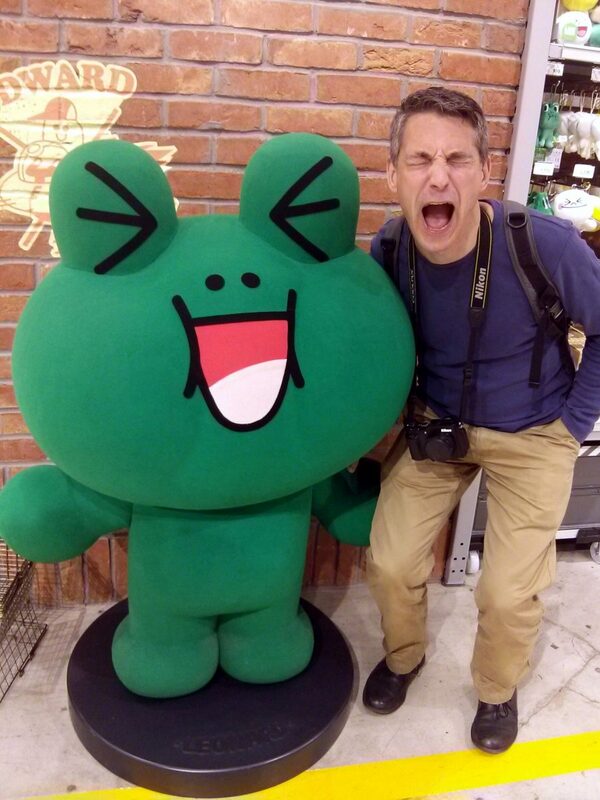 I prefer LINE to Facebook Messenger as it is far less intrusive in the personal data it requires to function. If you’re not already familiar with the LINE app you can check it out here. 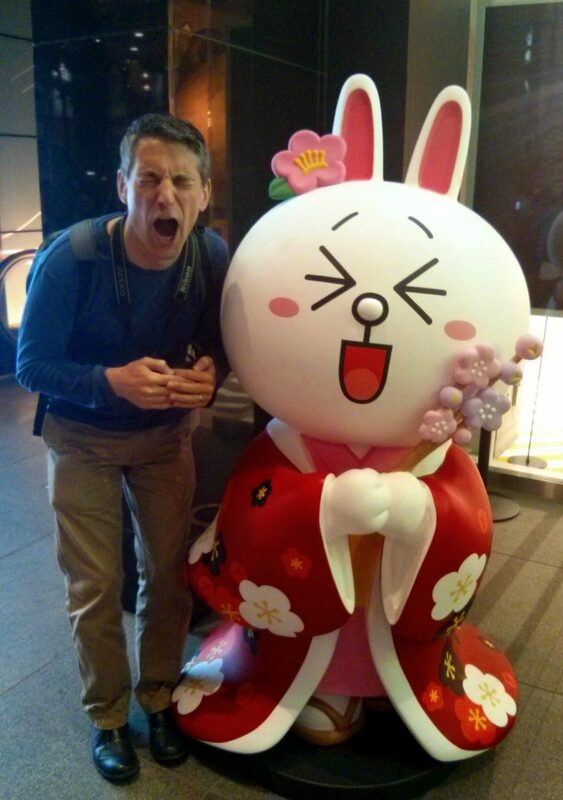 The LINE characters are famous throughout Japan, made popular in an animated TV show and series of mobile games. 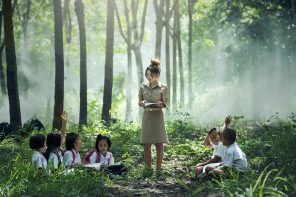 There are millions of users of the services across the far east. 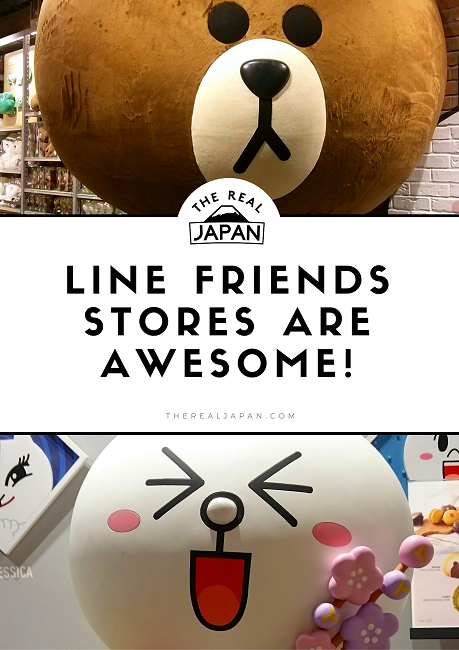 As part of their brand building the company has opened a number of LINE Friends stores – but only three of these are in Japan, in Tokyo (of course! 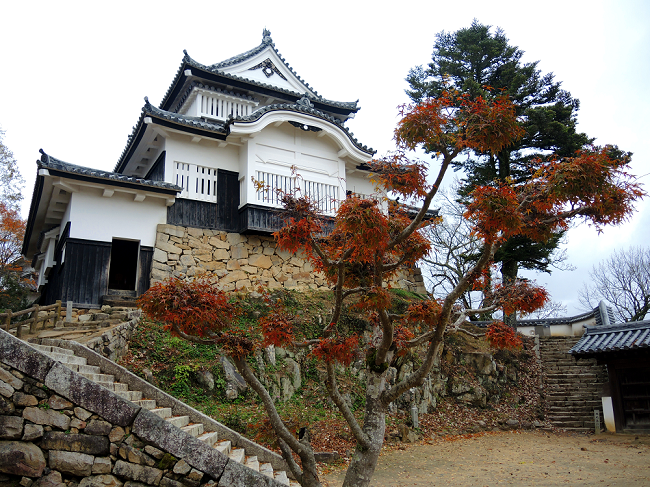 ), Fukuoka and Sendai. The newest store is the one in the city of Sendai, in Miyagi Prefecture, on the main island of Honshu, which I recently visited. 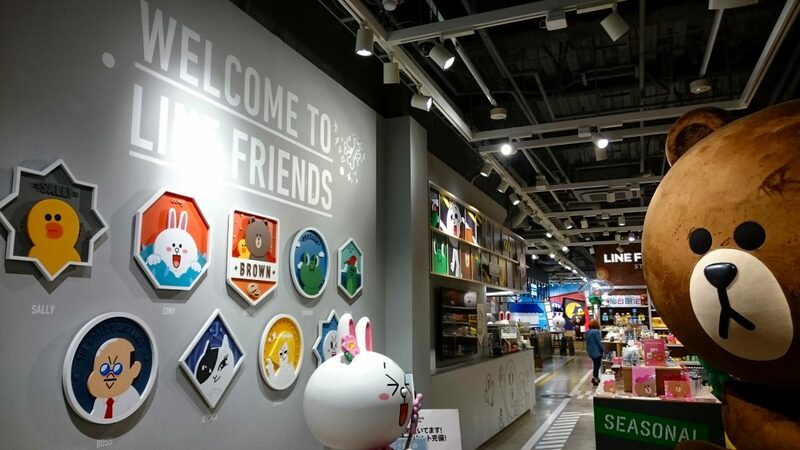 Located inside the main central shopping arcade, the store includes a cafe where you can sup on LINE Friends milk and eat LINE Friends chocolate bars. 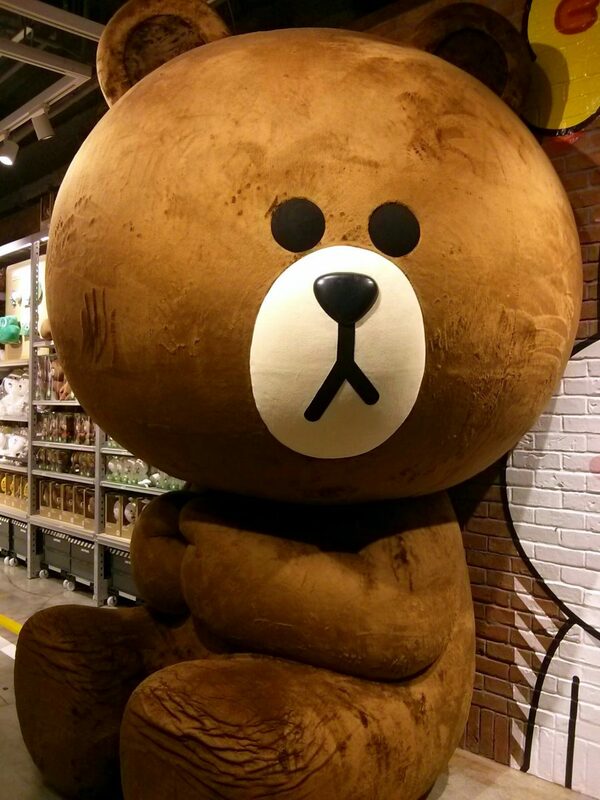 At the entrance is a huge, plush Brown figure – around 10 feet/3 metres tall. There are more (I’m not sure they can be referred to as ‘life-sized’!) figures of Brown, Cony, Sally, et al. There’s also a Brown (and a Sally) kitted out in the samurai armour in honour of Doku-Gan Ryuu – the Sendai mascot. It’s photo-opportunity heaven! 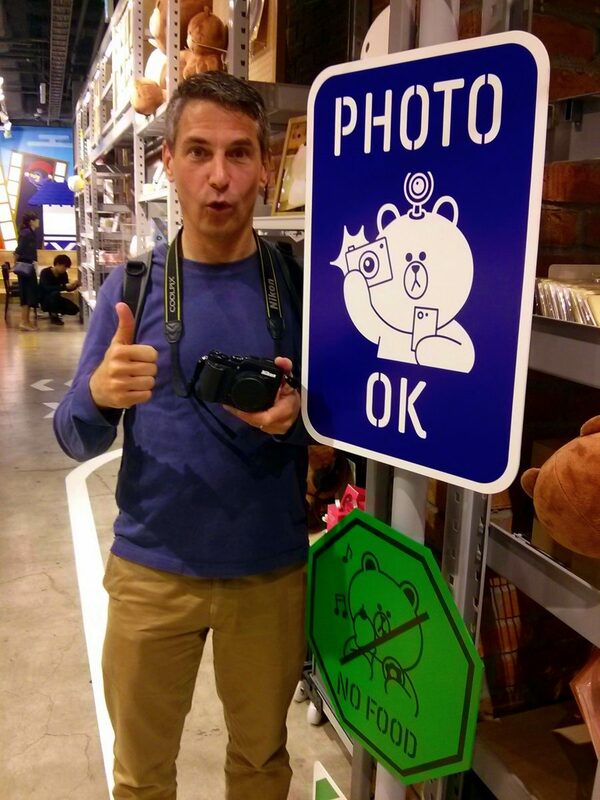 For the avoidance of doubt, there’s a sign inside saying “Photos OK!”, so that visitors (a large proportion of whom are likely to be LINE users) can readily take shots of them alongside their favourite characters and immediately post them on social media. Not least sharing them with other LINE users who, if they’re not lucky enough to have visited any of the stores, will be green with envy. I wished we could have spent more time in the store than we did. But we came across it by chance shortly before it was closing for the evening and we were heading onwards from Sendai on a morning train. Rather incredibly we also came away not having made a purchase. In part, due to the time pressure, but also because so much (ie almost too much) of the stock was tempting. It would actually have been easier to buy something if there wasn’t so much good stuff. As it is, it’s almost overwhelming. For afficianados, it’s worth noting that the store sells products that are not available anywhere else. 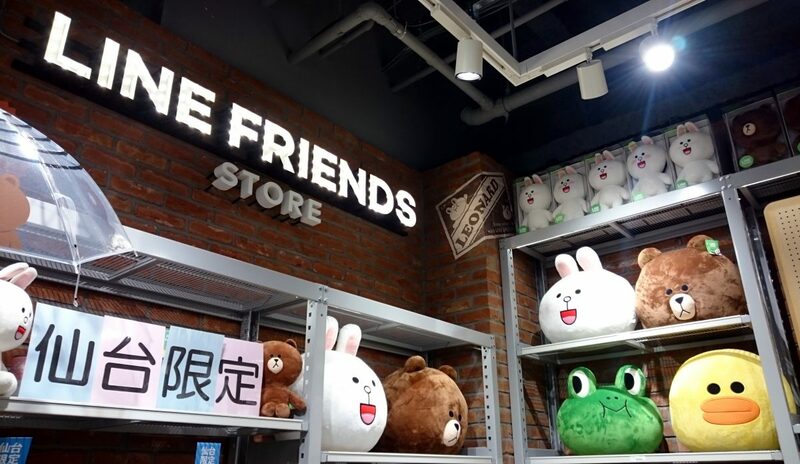 A real incentive for fans of Brown, Cony, Sally, and friends to visit the physical stores. In addition to incredibly tempting merchandise, this sote (and the one in Kukuoka) also have a small cafe. You can easily spend a small fortune of you were so inclined. But there are items across the price range, ranging from character chocolate bars through to huge, plush figures of each of the major characters. 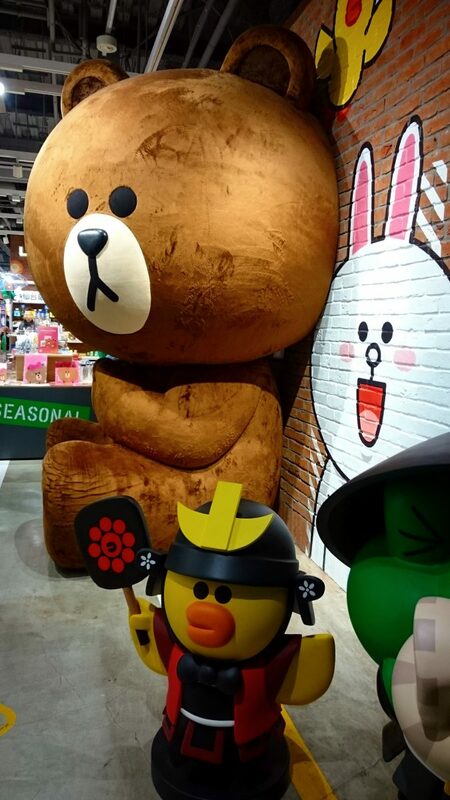 Whether you are into LINE Friends or not, I’d still recommend it as a place to visit. The characters are ridiculously cute and the quality of the goods was extremely high. There was no cheap cashing in going on here. If you came away with your own Brown, Cony or Sally milk bottle(! ), cushion, or large plush figure, you’d certainly get a quality souvenir for your money. I don’t often get very animated with it comes to shopping (it’s far from my favourite pasttime when travelling). But if you’re a sucker for cute characters, beautifully conceived and designed souvenirs, made to a top-notch standard then you should visit a LINE Friends store when you are in Japan because they are definitely, absolutely awesome! The official LINE Friends online store is only available in Korean but it is possible to browse it in English HERE. How To Plan A 2019 Trip To Japan In Just 4 Steps! Great Post, Editor ! Loved your LINE impressions… and amazing Pics : #Cheers! Great #GoogleMaps orientations: it’s definitly a #mustVisit place ! #ThankYOU for sharing your experience ! #DomoArigatôGuzaimasu !! !